!! OMG, HISTORICAL! Nicole Maines will debut on SUPERGIRL as the world’s first-ever trans superhero !! …and the character!? Appropriately named DREAMER! 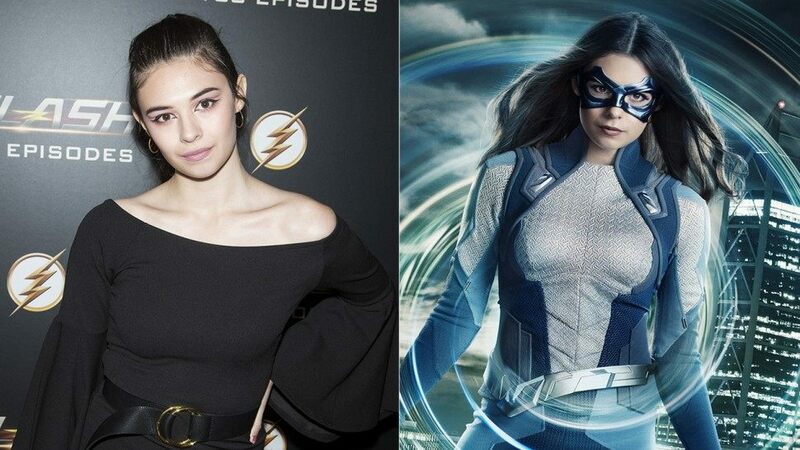 Trans comic book nerds everywhere will be able to finally see themselves represented onscreen as actress Nicole Maines fulfills her role as Nia Nal, the distant relative to comic book character Nura Nal, aka DC Comics‘ Dream Girl. The CW announced they had cast Nicole Maines as Dreamer on its Supergirl TV series and the character would be the first transgender superhero to ever appear on television. Like her comic book relative, Nia has the power of precognition, as well as the propensity for narcolepsy when a vision comes over her. She currently works as a reporter for CatCo. This is UHMAZING! This is going to mean a lot for a lot of people. Guys and gals alike are already going crazy for her character! Check out her interview from Ellen last fall about her life leading up to her newfound role below. She was born a twin boy. What an incredible story! 2 Comments on "OMG, HISTORICAL! Nicole Maines will debut on SUPERGIRL as the world’s first-ever trans superhero"
Good for her! I wasn’t sure if the character was trans or what giving that she transitioned so well but I am sure it is so helpful when you have parents that stand by you at such a young age.